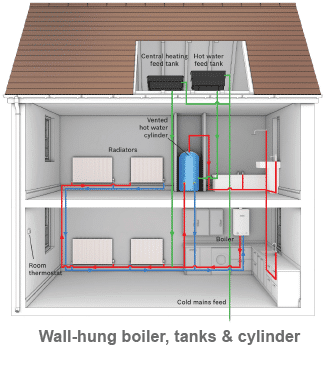 Boiler installation is an important investment for any home. 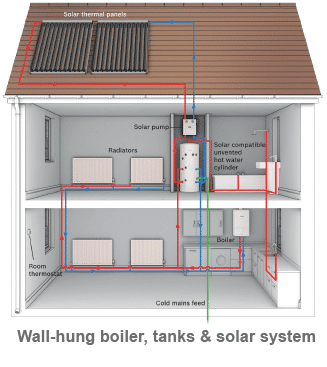 It could save you money on your heating and energy bills and add value to your home. 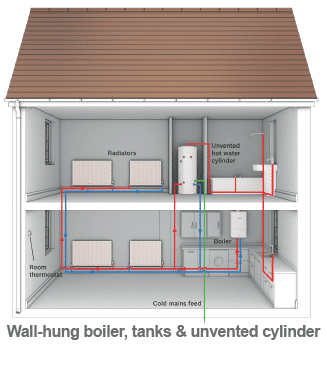 Our trained plumbers can offer boiler installations in your home around Nottingham and East midlands. Whether you need to replace an old central heating system or need to install a new boiler we can assist you in maintaining the safety and efficiency of your boiler. Our boiler engineers around Nottingham and East midlands only fit A-rated boilers. This means they are more than 90% efficient which could save you up to £300 + per year on your heating bill. We also offer combi boilers from leading manufacturers in the trade such as; Worcester, Vaillant, Broag Remeha, Glow Worm and will discuss any other branded boiler that you would like to use. All of our boilers come with an extended warranty which covers our plumbing work and the equipment with the manufacturers. Whether you are looking to replace a boiler around Nottingham and East midlands that is beyond repair or want to upgrade your existing boiler to have a more energy efficient model installed we can help you choose the best boiler to suit your personal requirements. Contact us to schedule a free visit to discuss your boiler installation options. An expert engineer will come and visit and assess which boiler installation would suit your requirements depending on what you need. We can also discuss with you the benefits of each boiler so you understand the options that you have. We will then offer a fixed price quote for all the boiler installation work and explain the installation process. Our engineers can work around your schedule to install your new boiler. And we also offer boiler maintenance and servicing around Nottingham and East midlands should you require this service at a later point. All our boiler installation work comes with a guarantee for parts and labour. A free visit from one of our boiler installation and heating engineers to discover what boiler will suit your personal requirements. Contact us to see how our engineers can help you with your boiler installation requirements. From choosing a boiler that suits your needs to installing and maintaining the boiler we can help you at every step of the way. Call us for a free quote for your new boiler installation around Nottingham and East midlands.